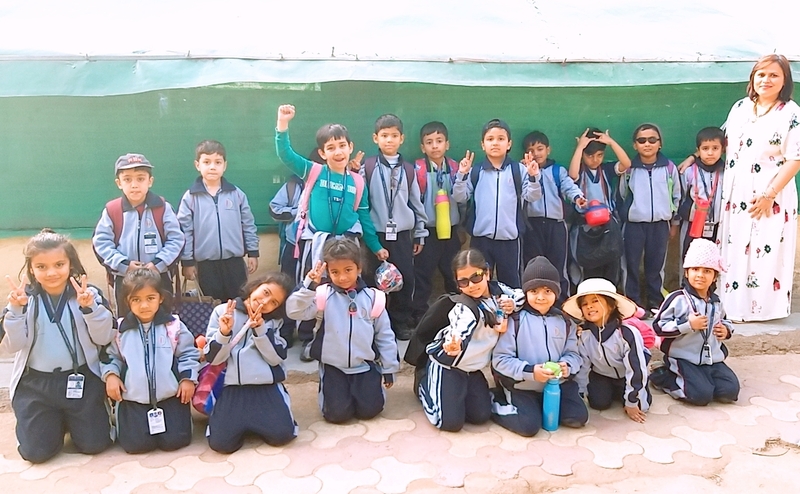 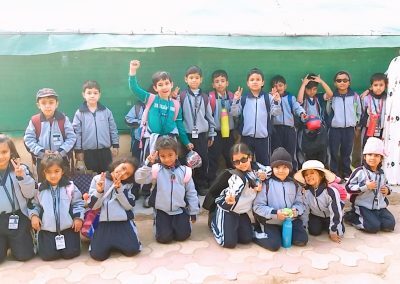 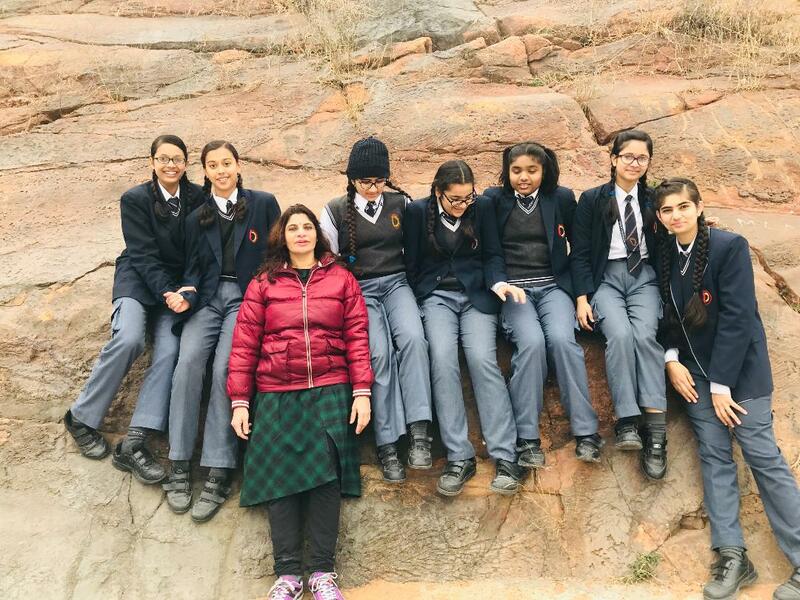 School organized a picnic to Eco Adventure Camp on 23rd February, 2019 for classes I-VIII. The camp saw an overwhelming participation. 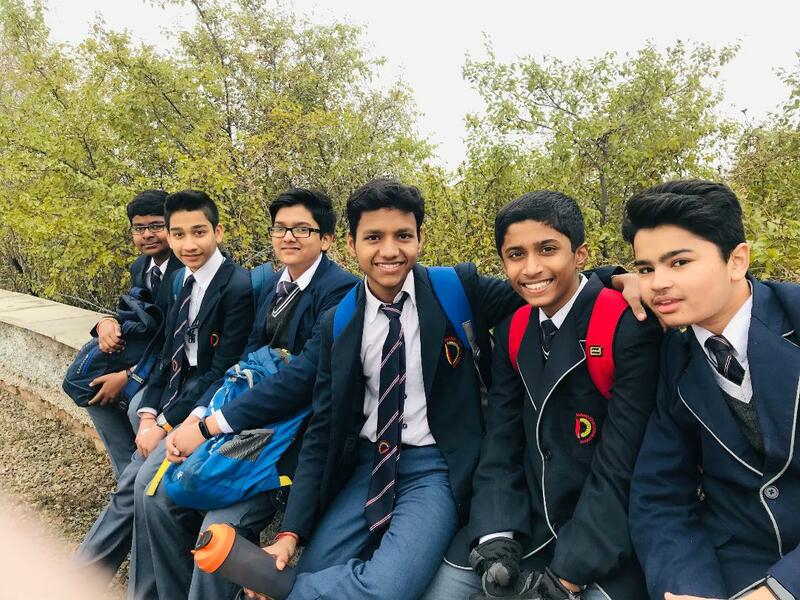 The students were amazed to see the huge range of physical activities like wall climbing, balancing beam, rope bridge, tunnel crossing, commando crawl etc. 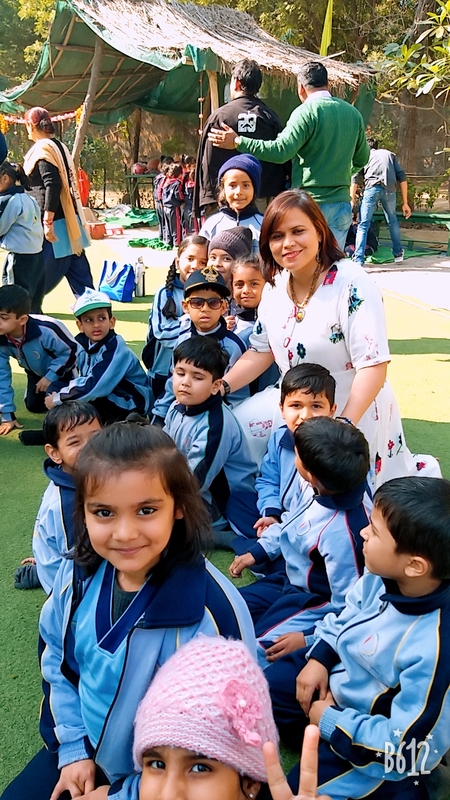 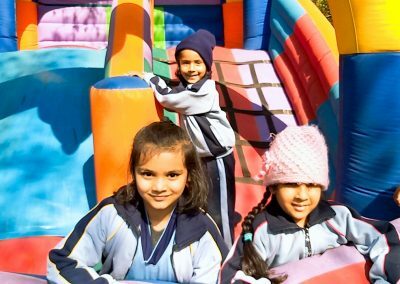 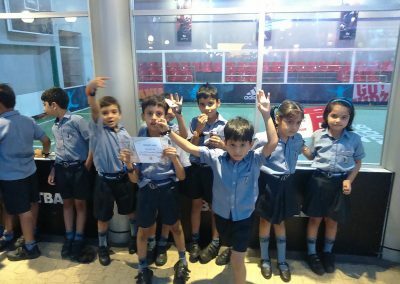 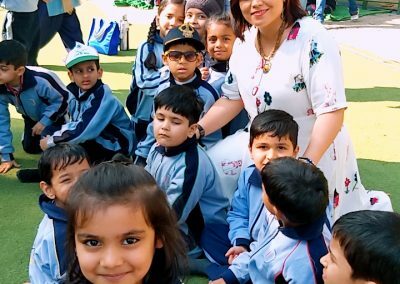 They also enjoyed other fun activities like the tractor ride, camel cart ride, magic show etc.It was delightful to see all the children cheering for their classmates, motivating and encouraging them to complete each activity. 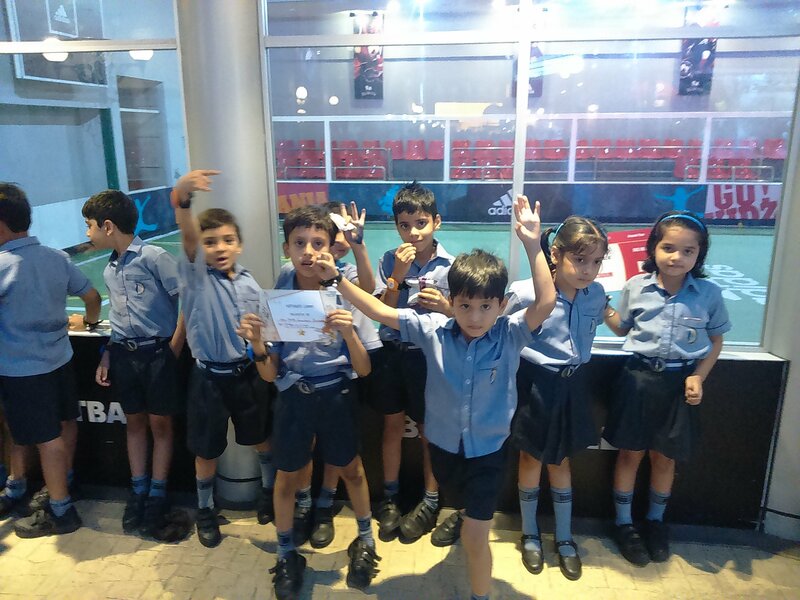 The students also enjoyed themselves immensely on the dance floor dancing to the tunes of the DJ. 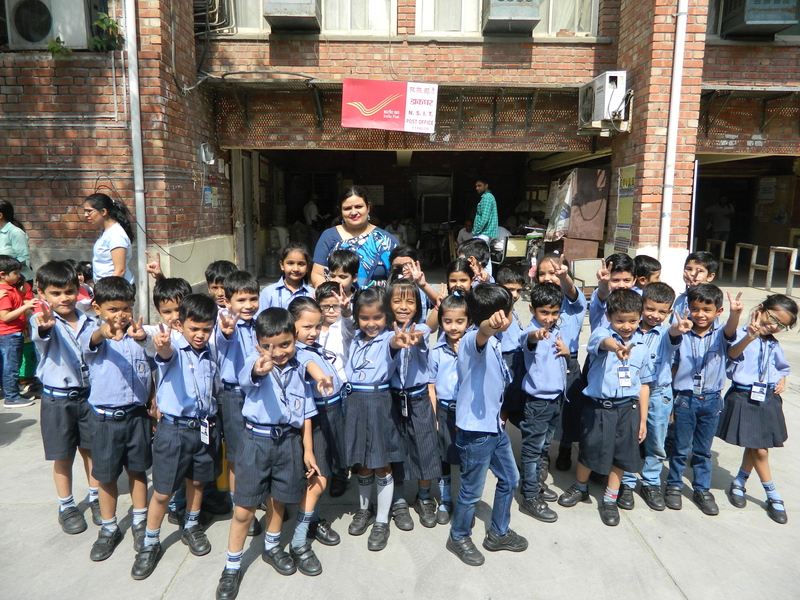 It was heartening to see them full of energy. 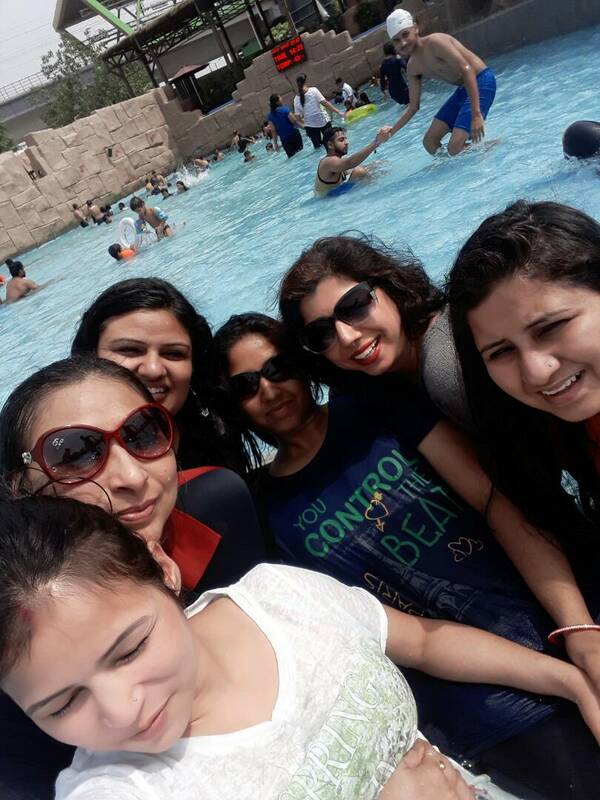 Indeed it was a great day. 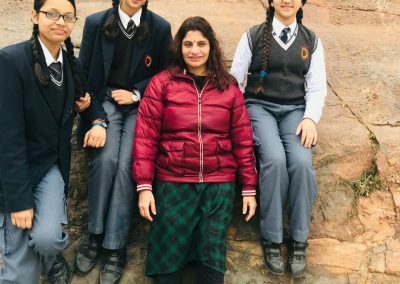 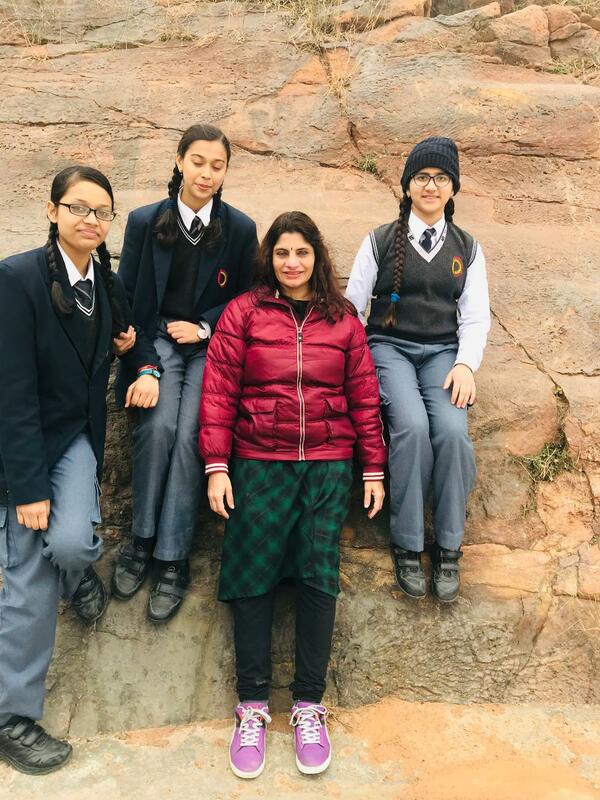 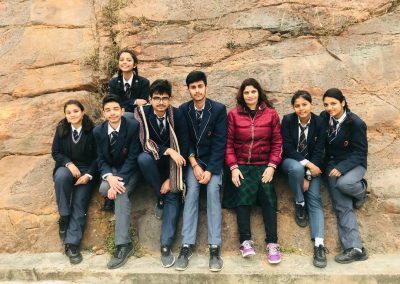 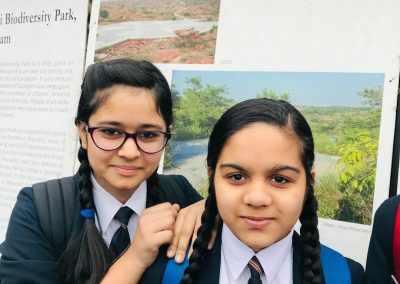 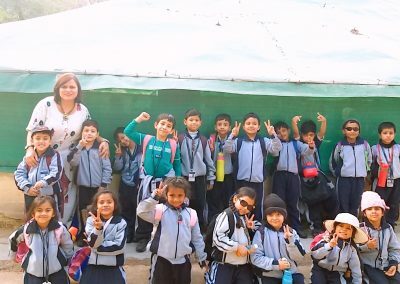 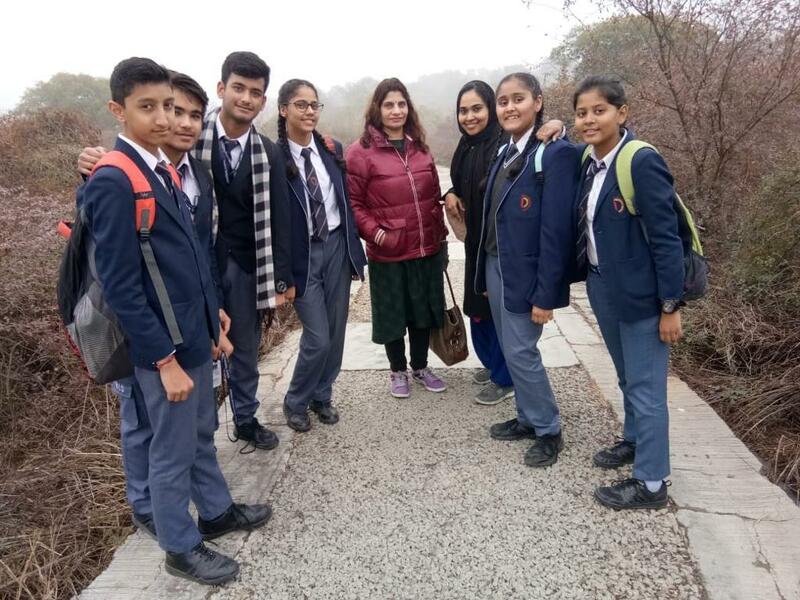 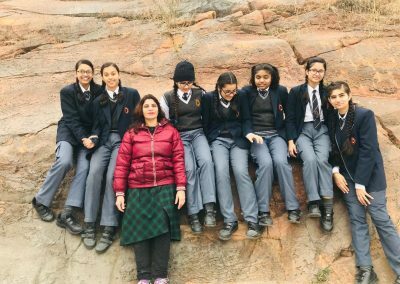 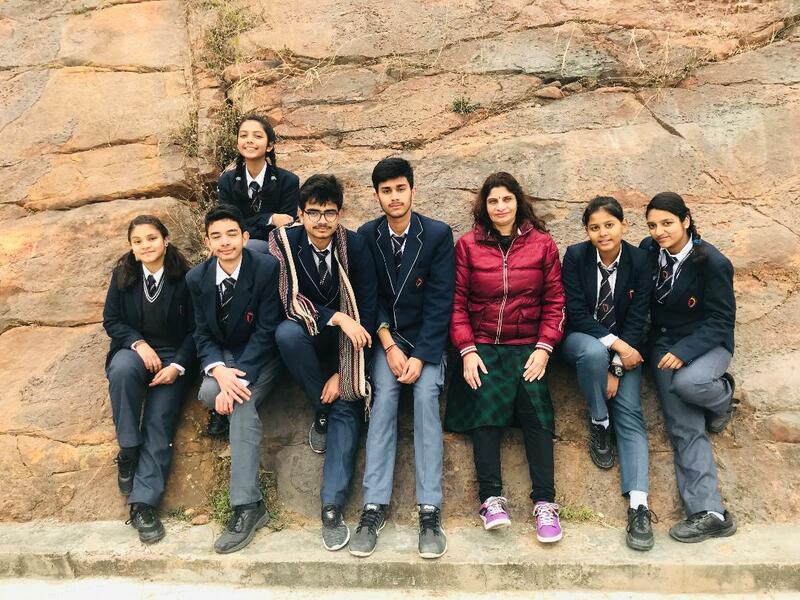 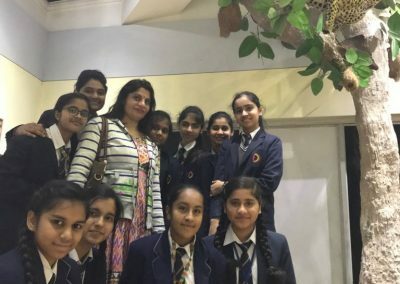 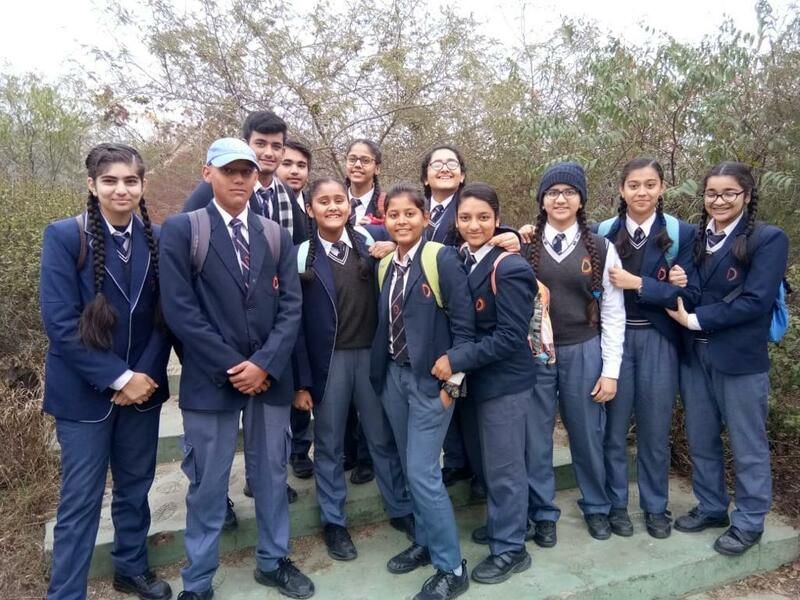 A field trip was organized by The Eco Club of Dwarka International School for the students to the Aravali Biodiversity Park on 2nd Feb.2019.Eco club coordinator Ms. Sulekha Khanna along with the students of class IX visited the site.The Aravali Biodiversity Park is located in Gurugram Haryana, India. 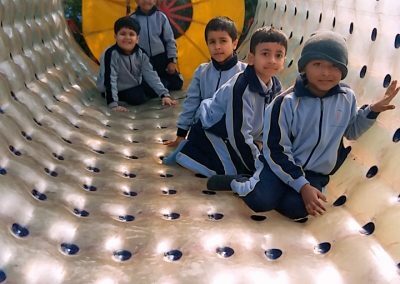 The park contains ecologically restored desert and arid land vegetation. The park includes a number of trails and a native plant nursery and interpretive displays at the entrance .Overall a fruitful visit. 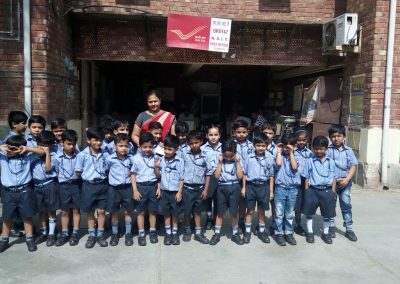 An educational trip was organized to the post office for class I and II. 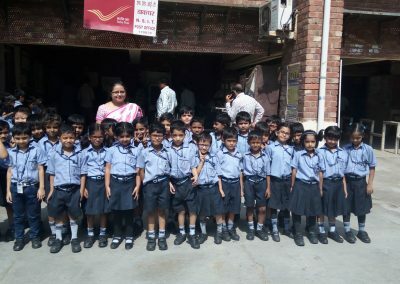 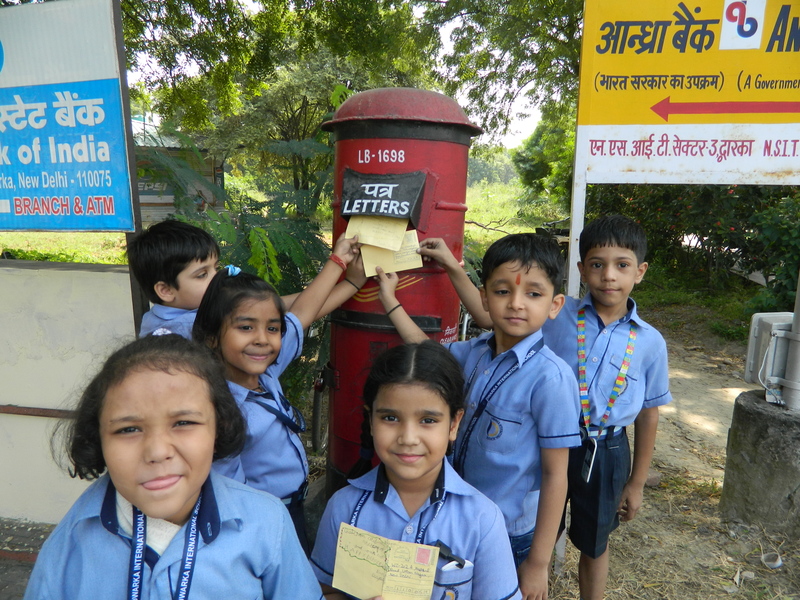 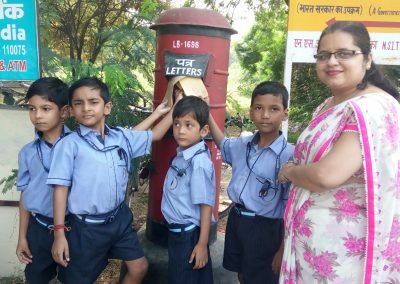 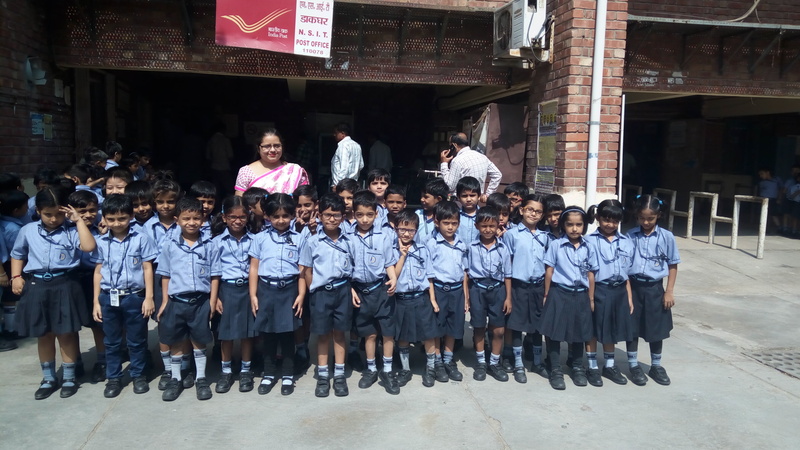 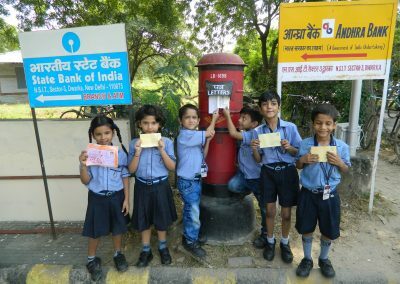 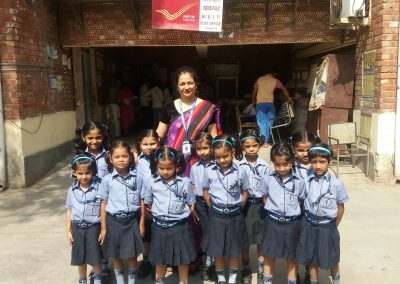 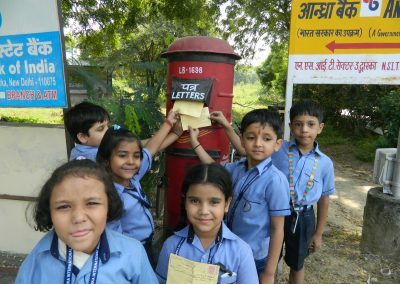 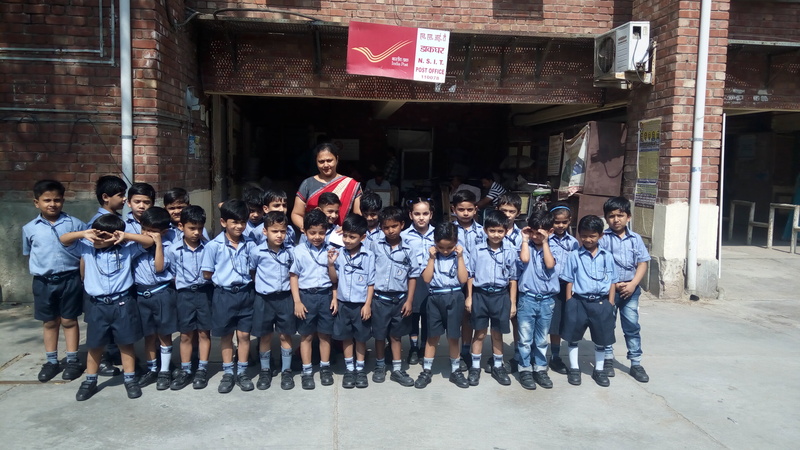 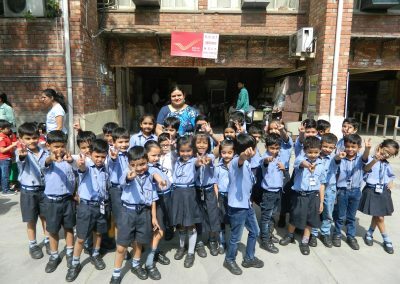 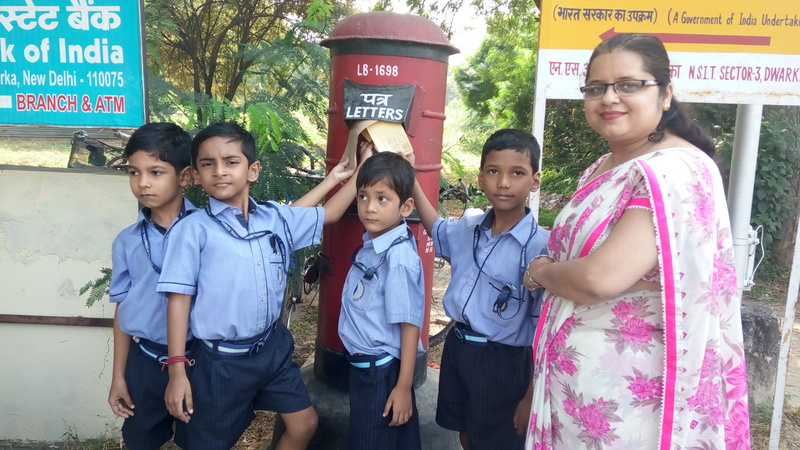 Children enjoyed the visit and came to know about different postal services like sending parcels , speed post etc. 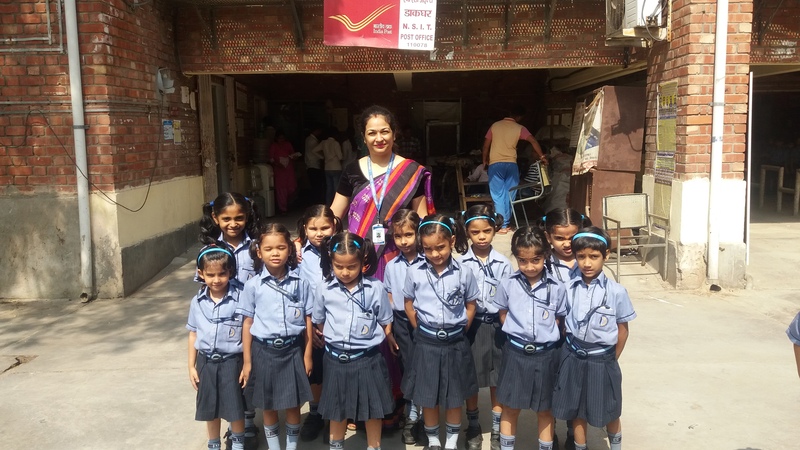 They are aware that they can buy stamps , postcards and envelops etc from post office and also the postman in post office delivers letters to our houses. 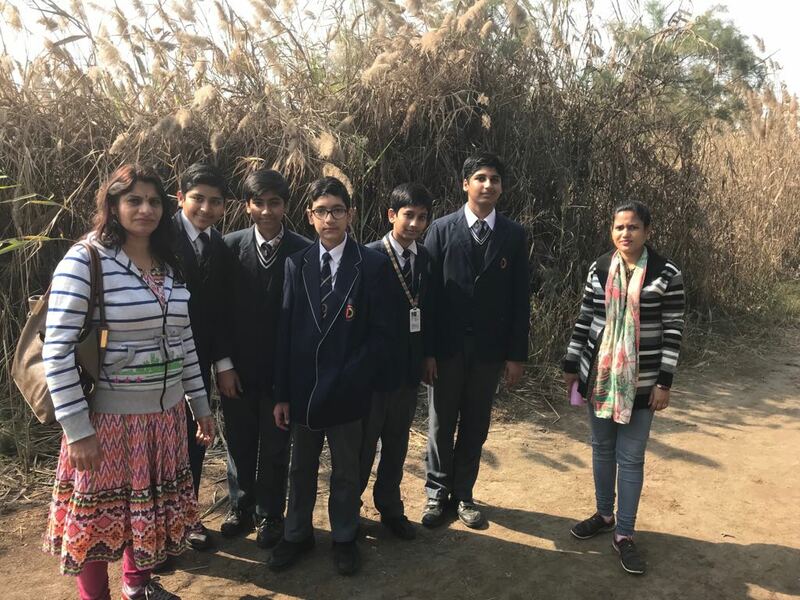 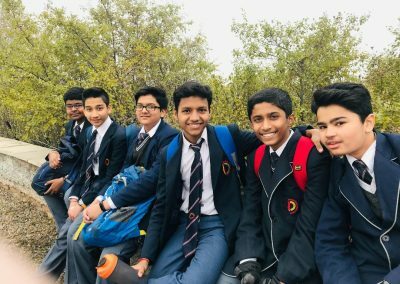 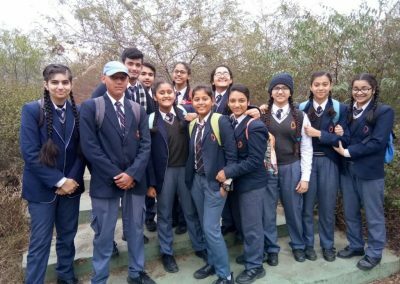 A field trip was organised by The Eco Club of Dwarka International School for the students to the Yamuna Biodiversity Park on 3rd Feb. 2018. 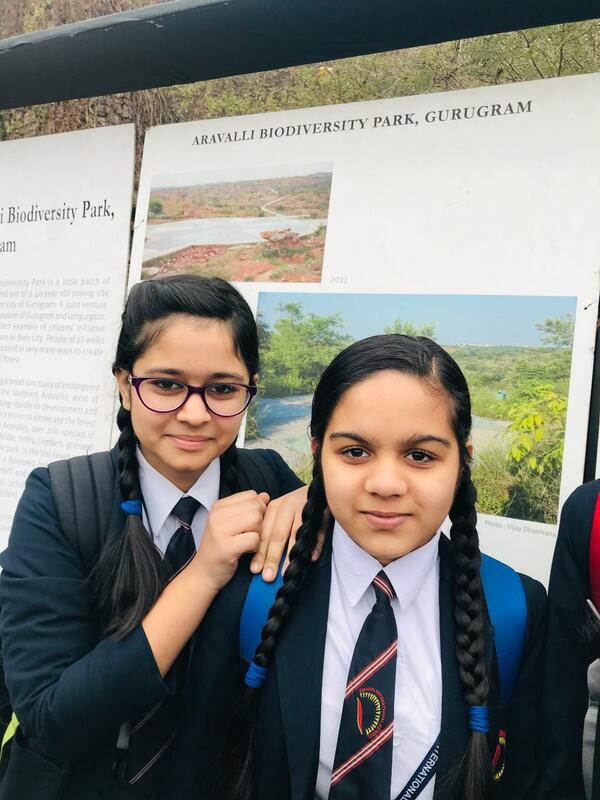 The Yamuna Biodiversity Park is located in North Delhi and has attempted to recreate the original riverine ecosystem that River Yamuna is supposed to have in Delhi. 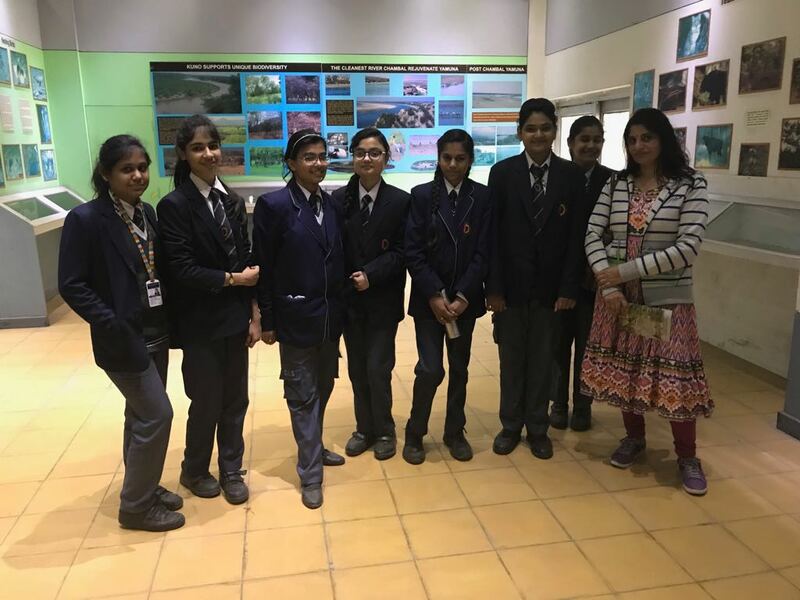 The Field Trip began with introductory remarks about biodiversity conservation and the efforts being made at the Yamuna Biodiversity Park by the Park authorities. 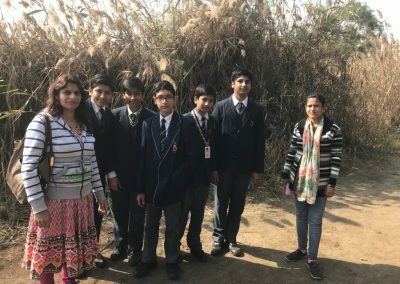 The students were shown several species of herbs and trees that were once found aplenty in Delhi’s urban ecosystem, but have become considerably reduced in number in the city. 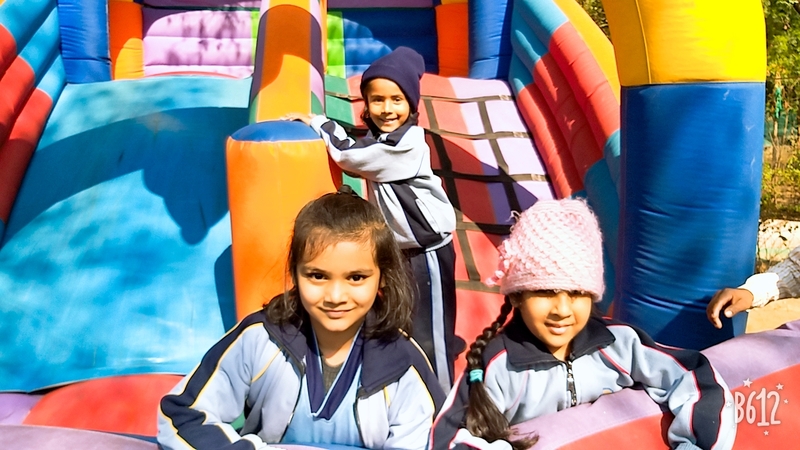 A lot of animals like the blue bull, jackals, rabbit and snakes are found in this region. . 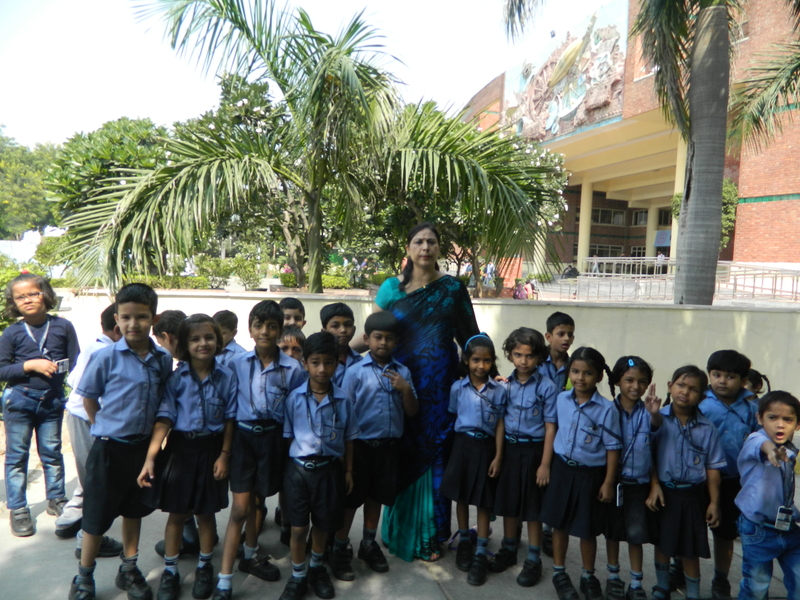 They also learnt about the co-relation between the various organisms of the habitat. 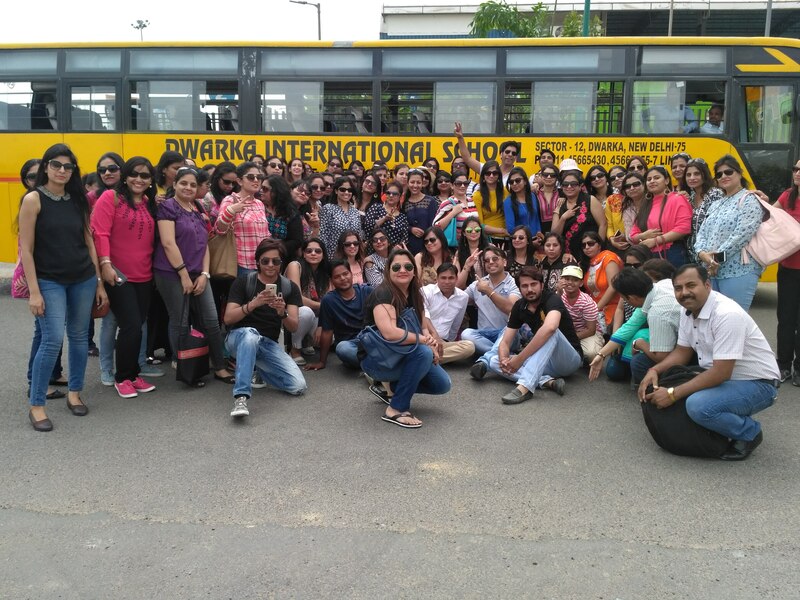 The trip was an amalgamation of pleasure and education for the students. 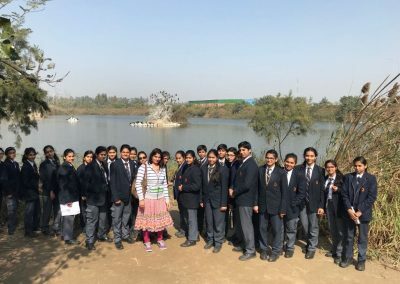 The two wetlands served as sites of spotting waterfowl, including some migratory species of birds as well. 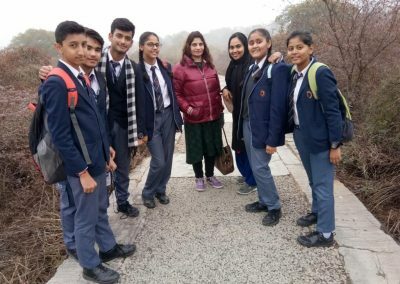 The discussion around the migration of birds and ability of the Park to provide a habitat for them was a good learning experience for the students, as was the overall trip experience. 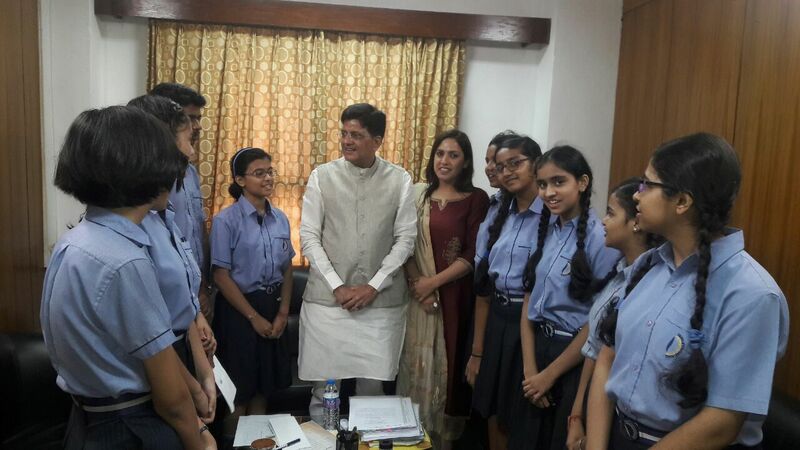 Overall a fruitful visit. 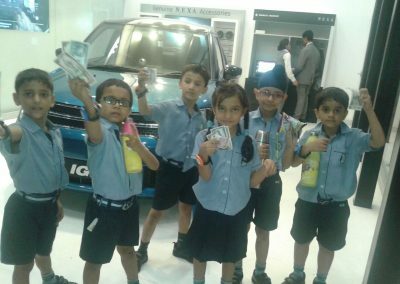 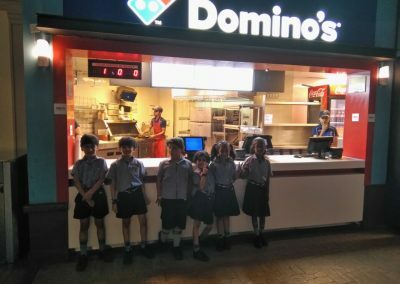 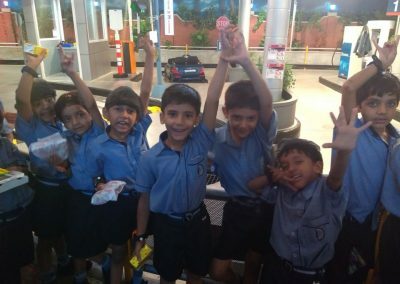 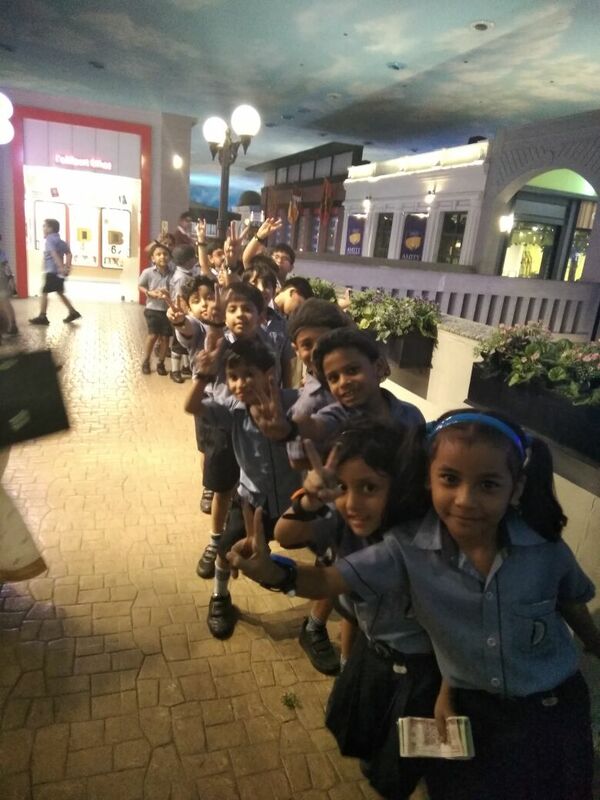 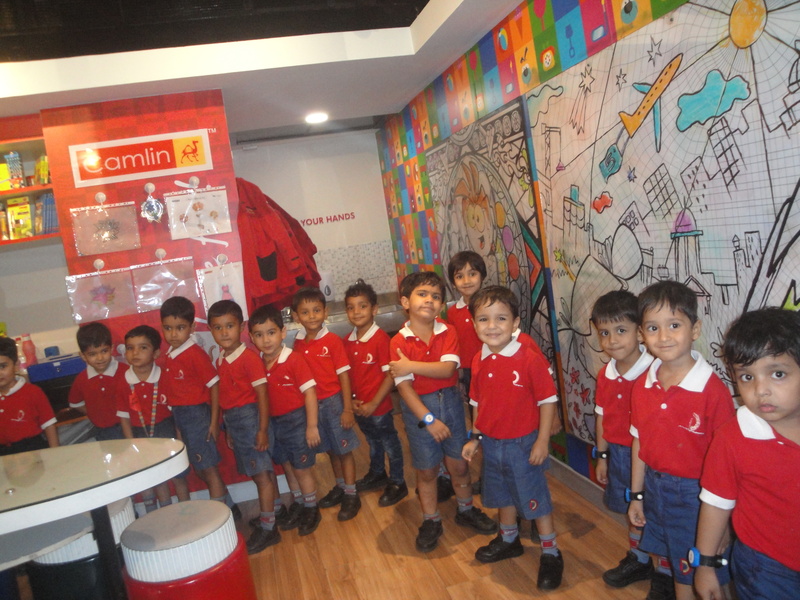 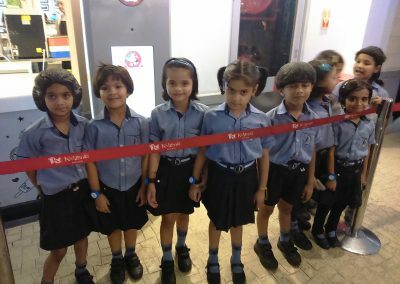 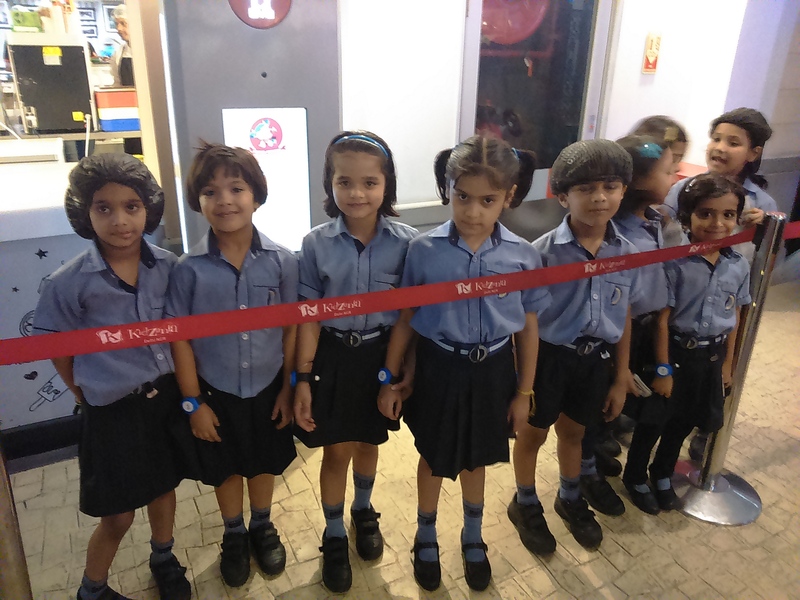 Students of Classes LKG to VIII visited KidZania on 28 August 17. 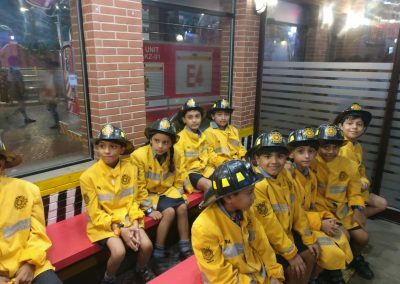 KidZania is an interactive indoor theme park that empowers, inspires & educates kids through real-life role-play activities. 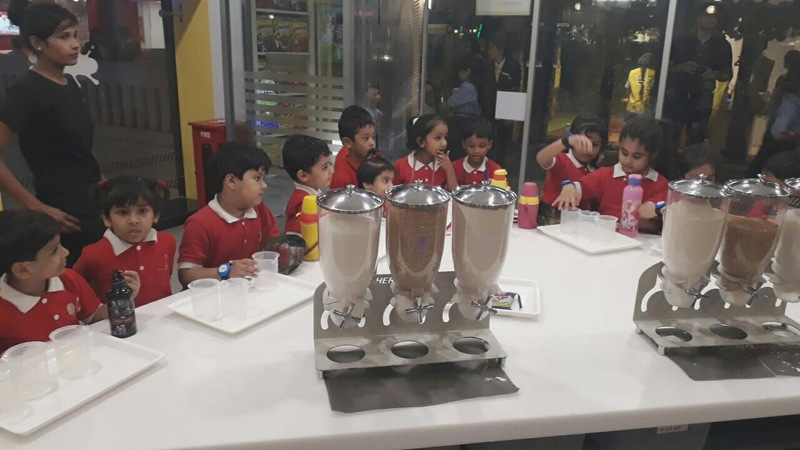 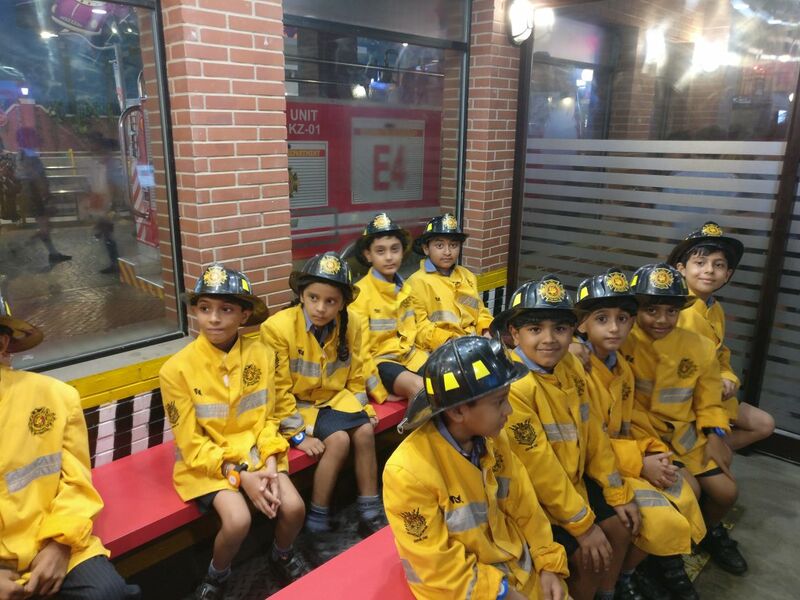 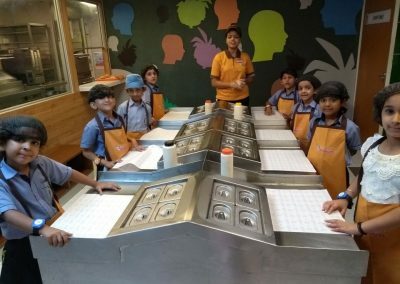 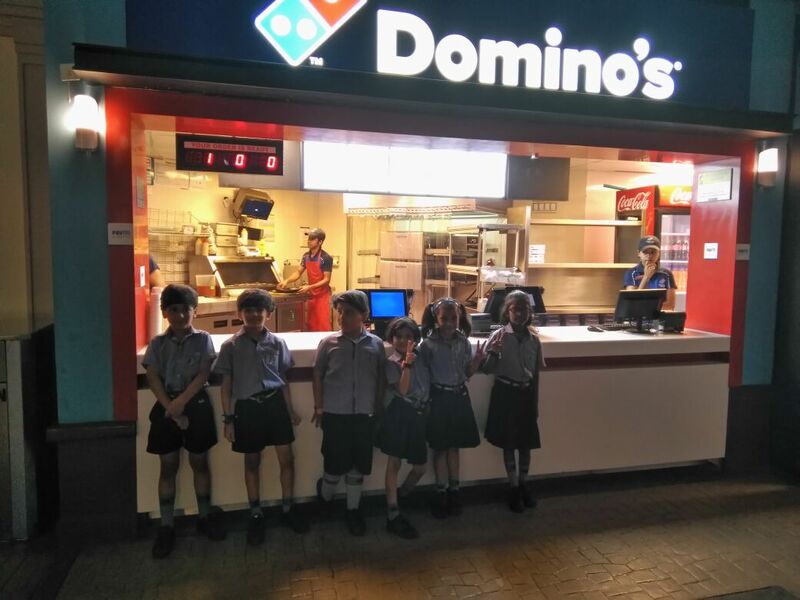 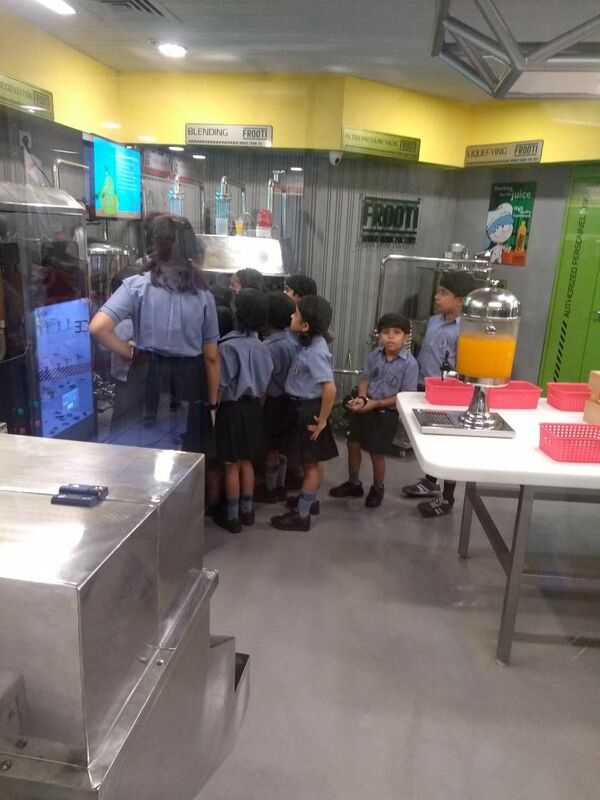 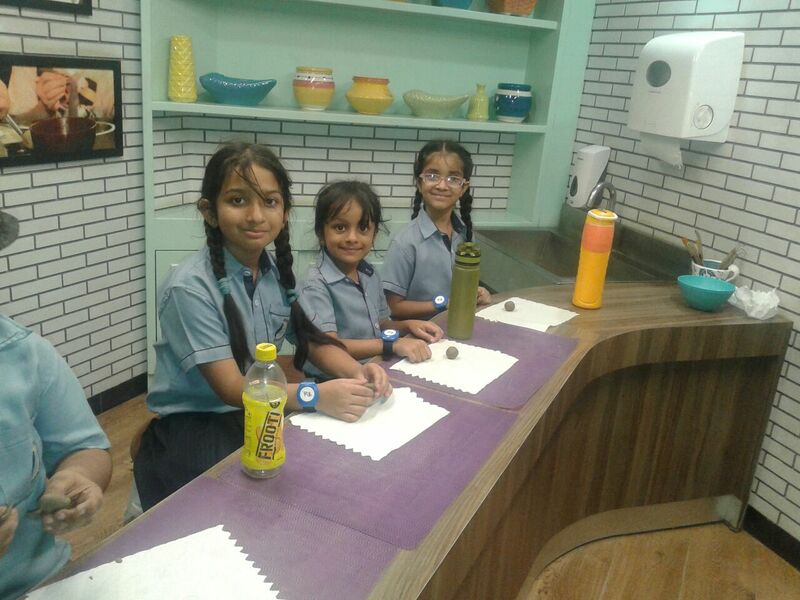 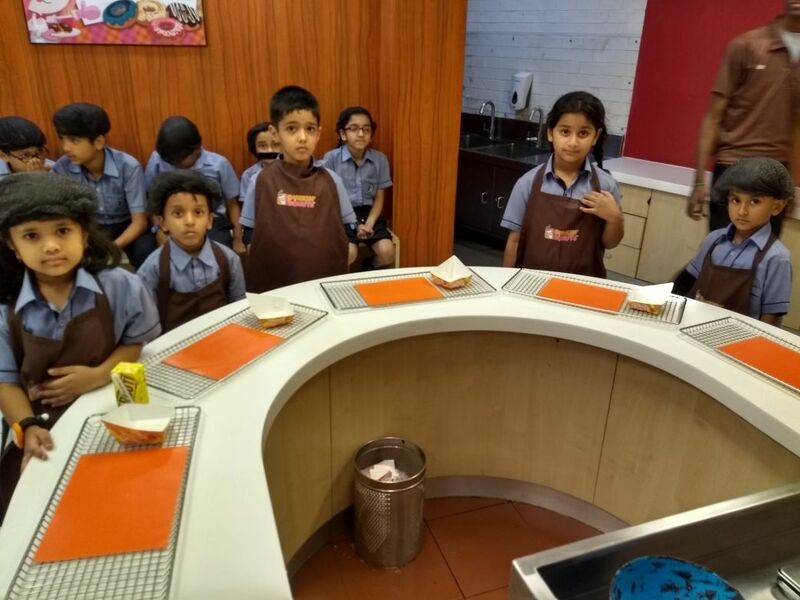 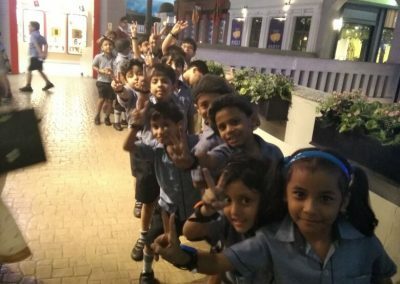 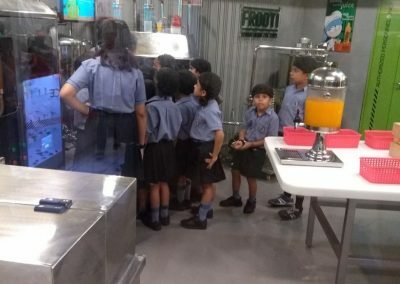 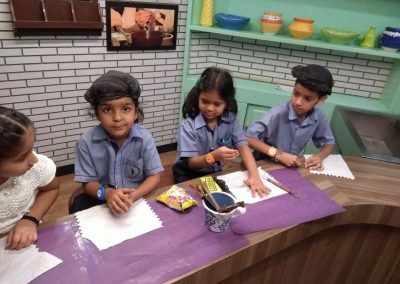 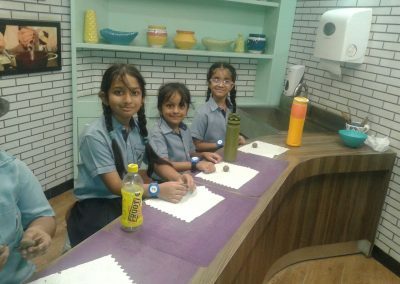 KidZania was a safe, unique place that provides an environment that empowers kids to explore, challenge themselves and open their minds to new experiences thereby stimulating creative thinking and boosting self-esteem and self-confidence levels. 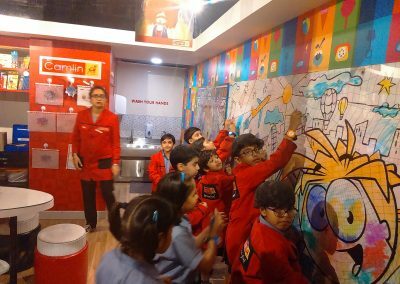 KidZania has around 90 role play activities which is focusing on creativity, critical thinking, communication, confidence and collaboration. The content of these activities compliment school curriculum. 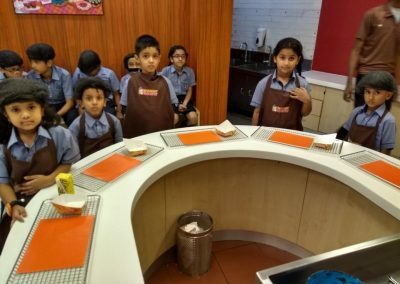 It provides a realistic environment where kids put into practice the knowledge, skills & values they have acquired at school. 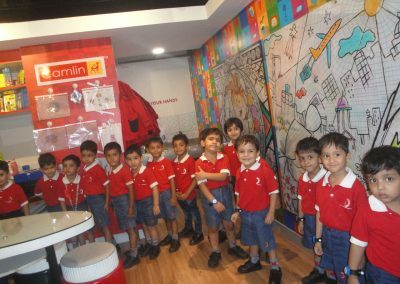 There was an exclusive Kindergarten activity area in which the children played games using educational toys, books and solved puzzles. RightZkeepers House is an activity area, where the kids created recipes, arranged cutlery, storytelling, enjoyed a puppet show, jumping on the inflated furniture and water bed. 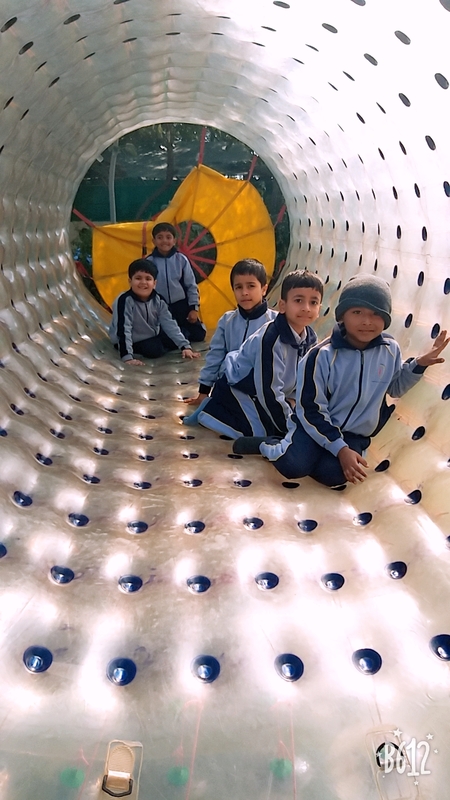 All the kids enjoyed in this area and these activities aided in the development of psychomotor, emotional and social skills of the little ones. 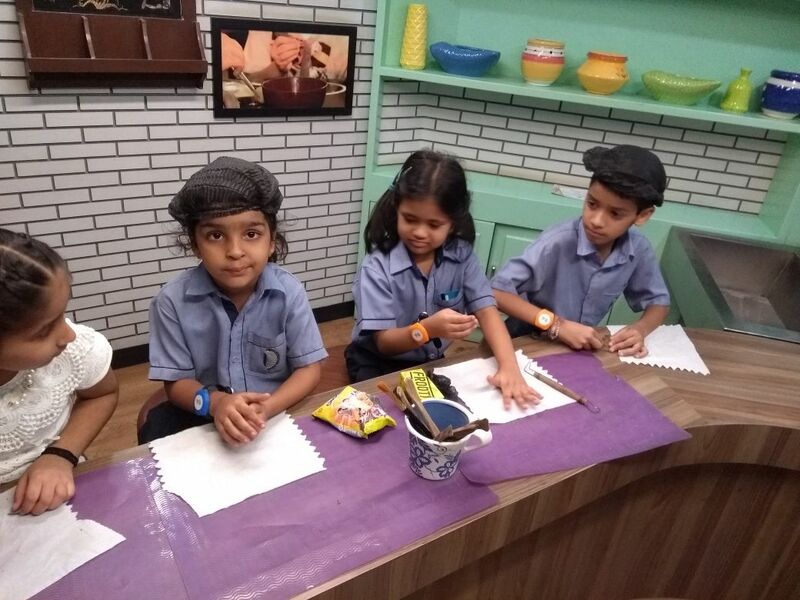 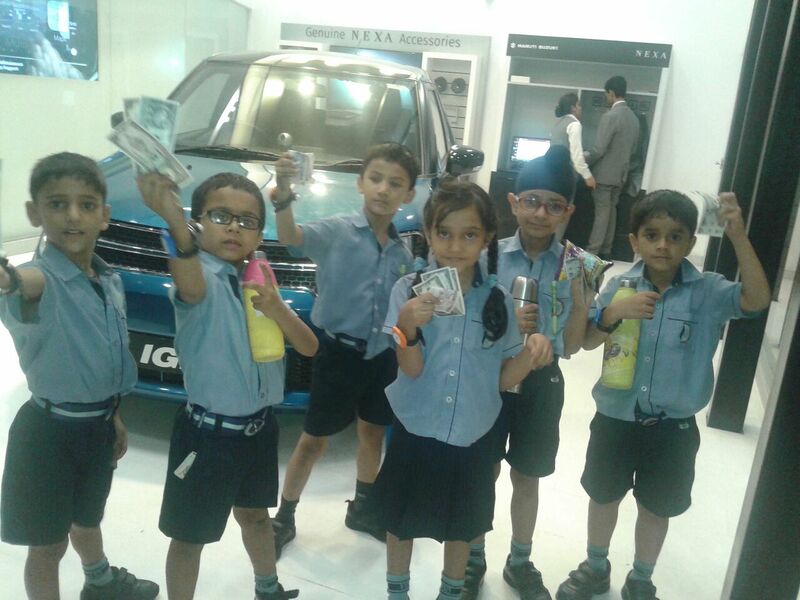 The kids had a real time experience in the following role play activities like Bank/ ATM, Hospital, House Finishes, Police Station, Supermarket, Music Studio, Dental Care Centre, Culinary Studio, Aviation Academy, Ice Candy Factory,Donut Shop, Pizza Chef, Biscuit / Cereal Factory, Burger Shop and many more activities which helped them to gain cognitive skills and team building. This life time experience will help them to face real life challenges. 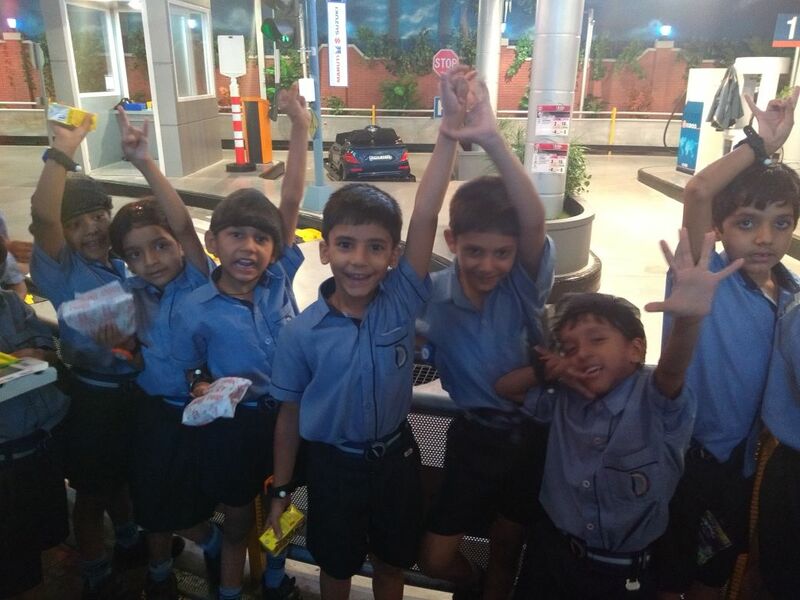 All the kids participated enthusiastically and thoroughly enjoyed the trip. 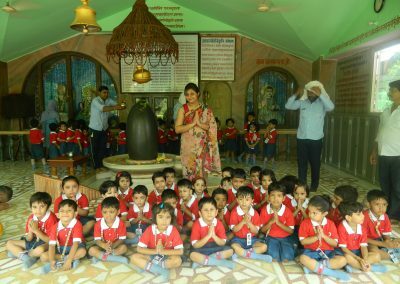 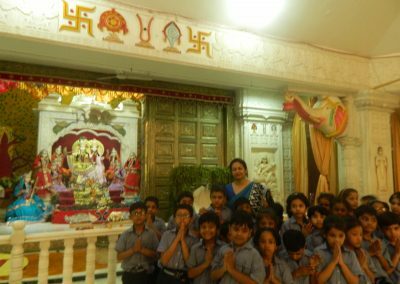 The school organized a trip for the students of class I and II .They were glad to visit to the Gokuldham Temple on 4th August. 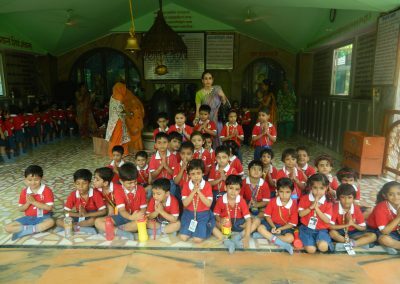 Gokuldham Temple is also known as Krishna Temple. 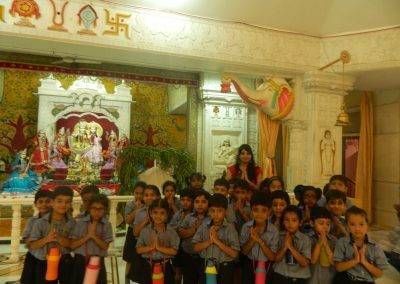 The tiny tots were made to worship the deities. 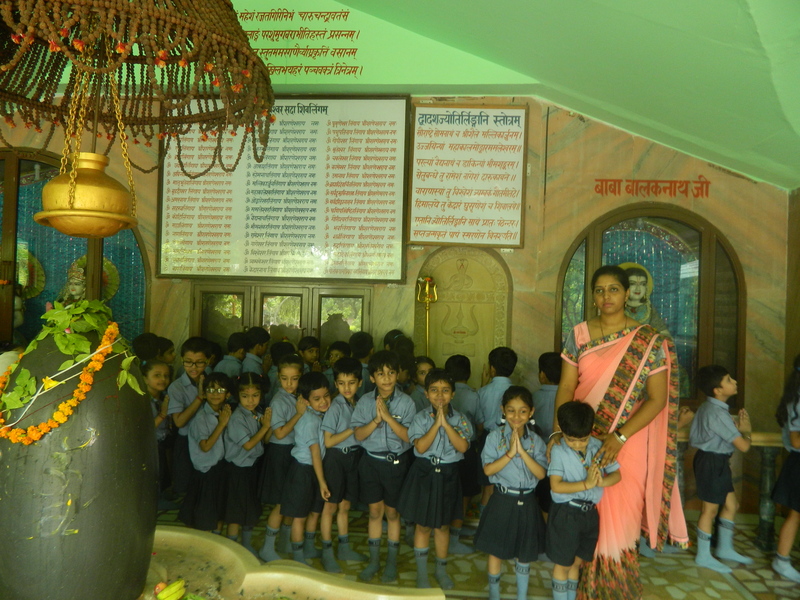 The ambience was very peaceful. 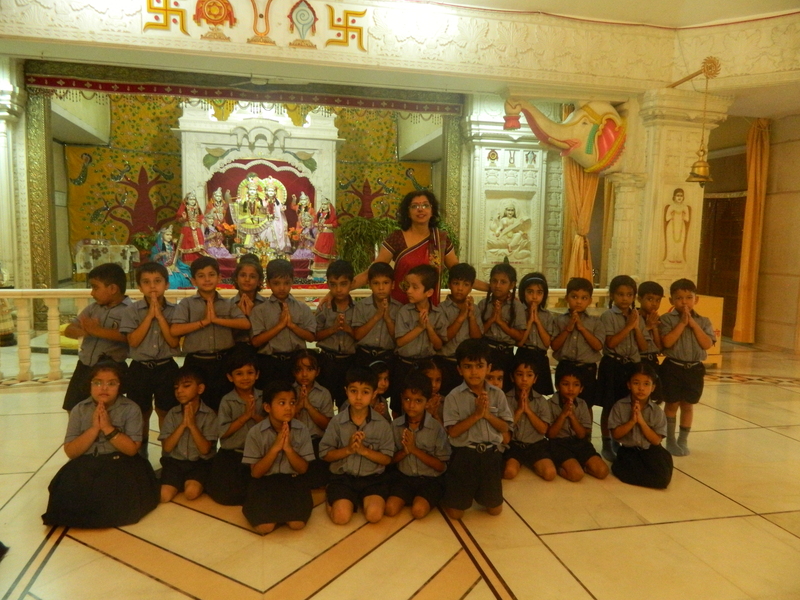 The childhood stories of Lord Krishna were also narrated to the children. 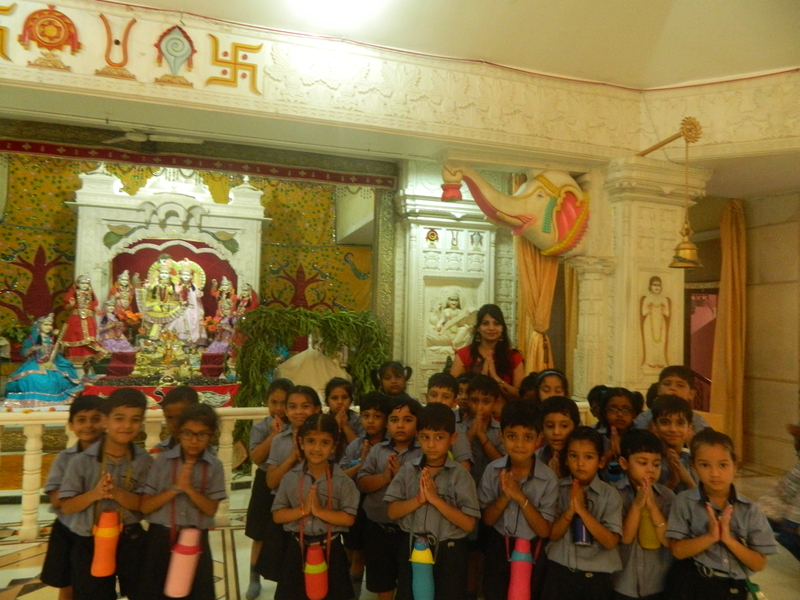 The students enthusiastically participated in the kirtan and chanted the mantras of Lord Krishna . 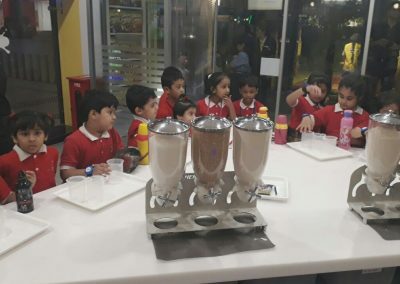 At the end students were served the parshad. 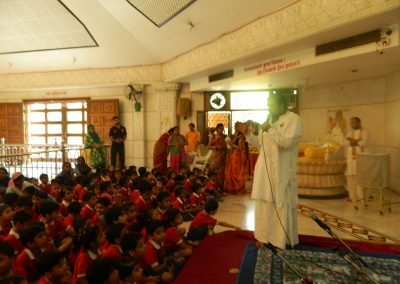 It was a devotional and memorable visit which the students thoroughly enjoyed. As a part of kindergarten activity, monthly local visits are organised. Since the theme of the month August is “ Festivals and Celebrations “ a local visit was arranged to Gokuldham Temple at Dwarka. 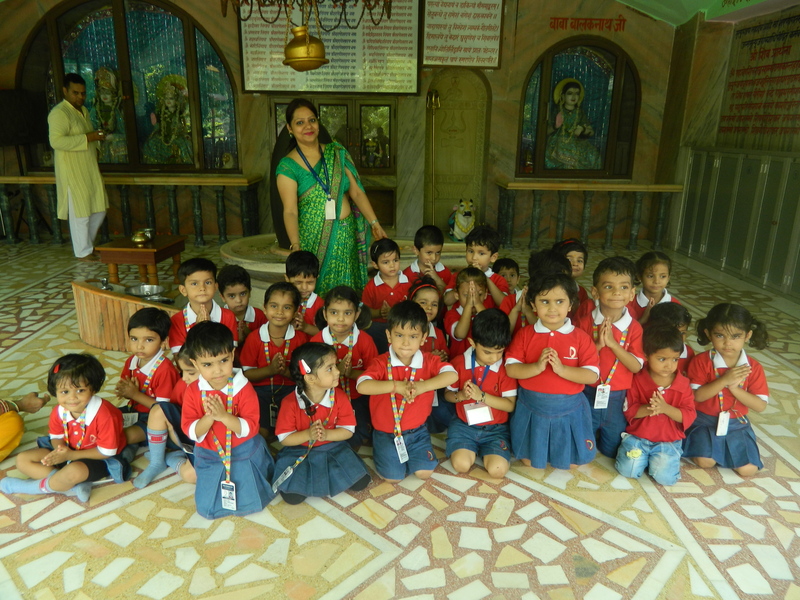 The main aim of the visit was to give the tiny tots a spiritual experience. 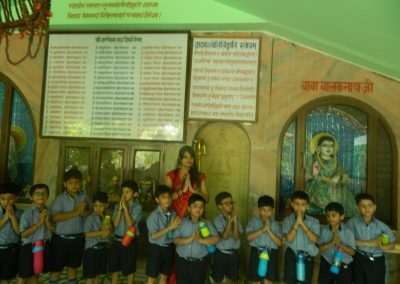 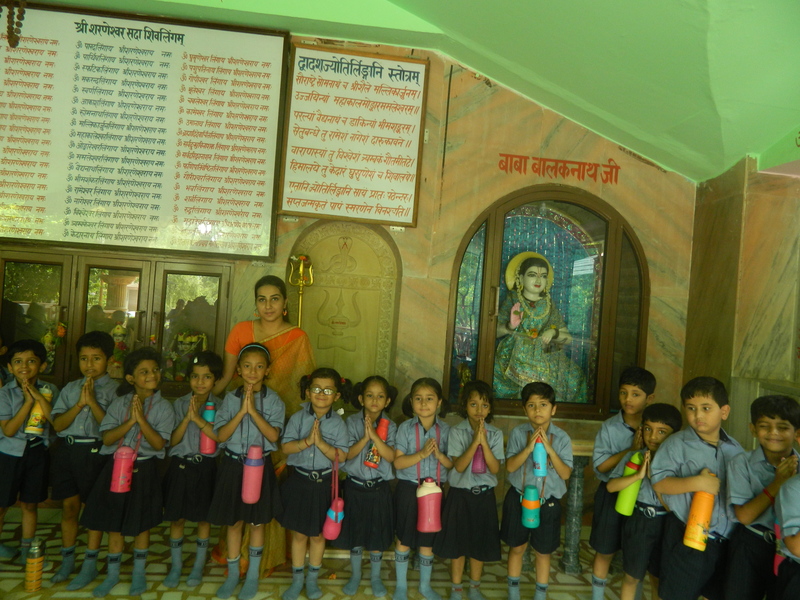 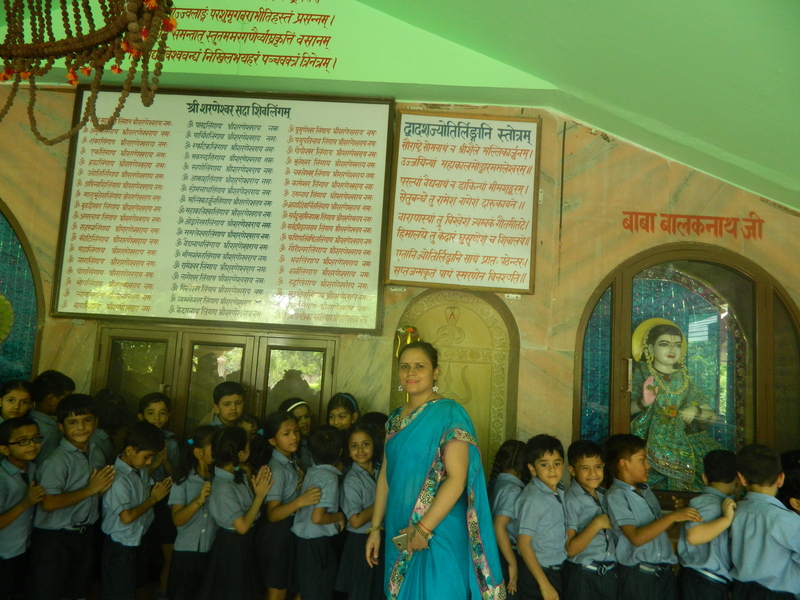 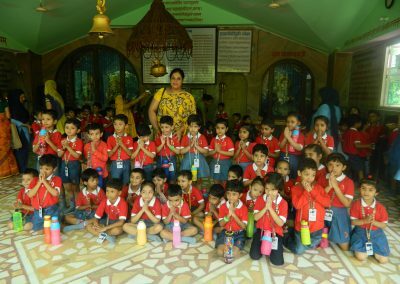 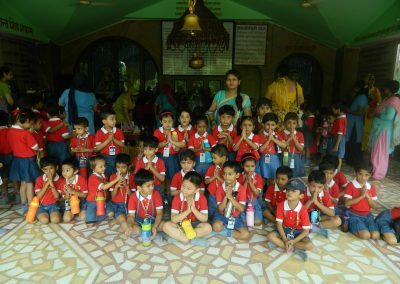 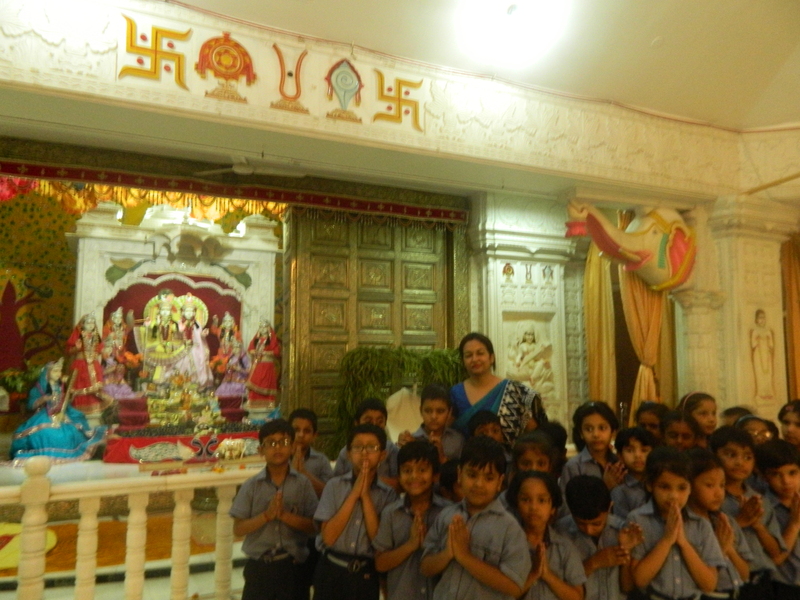 The children were taken a tour of the temple which was followed by a special arti and Prasad distribution. 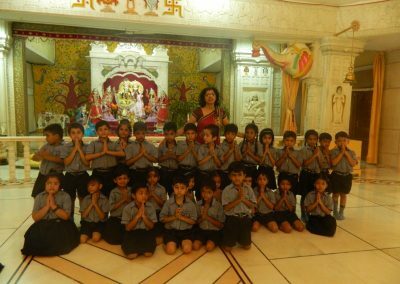 The story of Lord Sri Krishna was narrated to them, they were all exited to listen the story and enthusiastically participated in the activity. 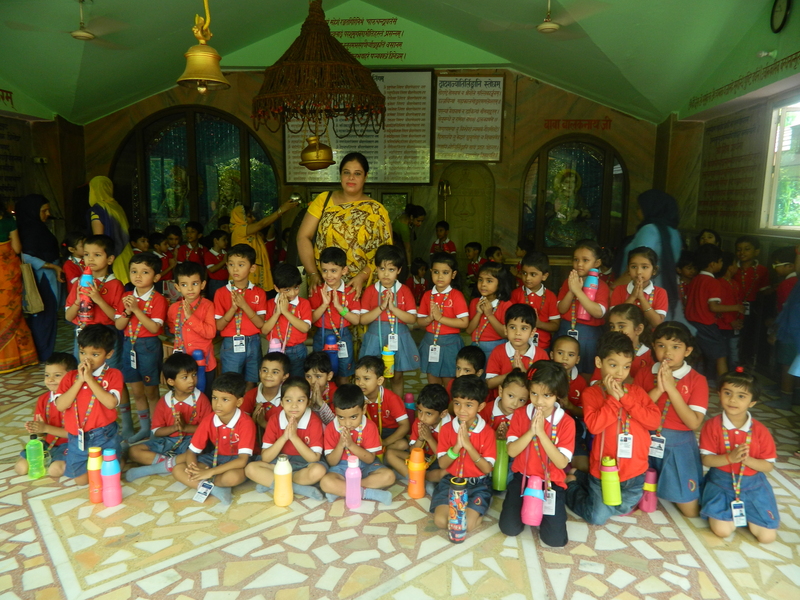 They all enjoyed the trip and gained knowledge about worship place and had a first hand experience of our traditions and values which they will cherish for their entire life. 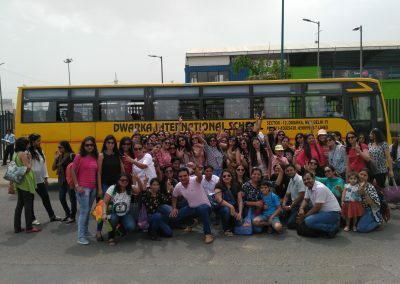 DIS – A concerned institution not only just for its students but also for its staff members, gave a splendid surprise to everyone by arranging a day out for the entire DIS family. 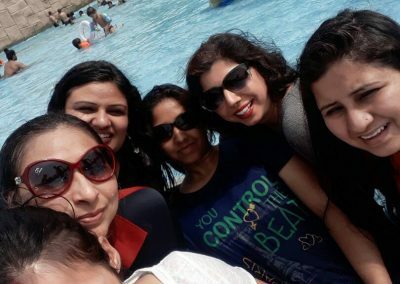 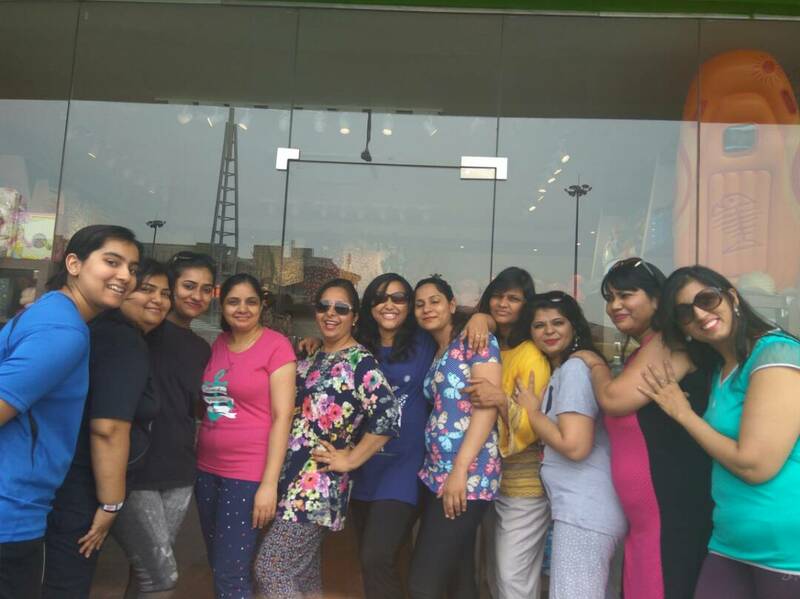 It was a very well spent day away from all the tensions and stress in OYSTERS APPU GHAR, GURUGRAM, and a much needed break for all the teachers to beat the scorching heat and to rejuvenate themselves. 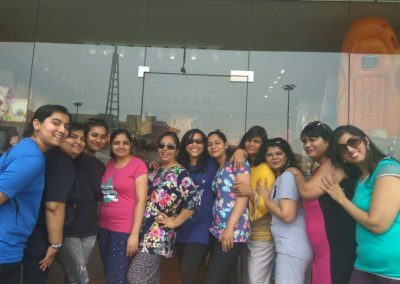 The staff members gave a kick off start to the day. 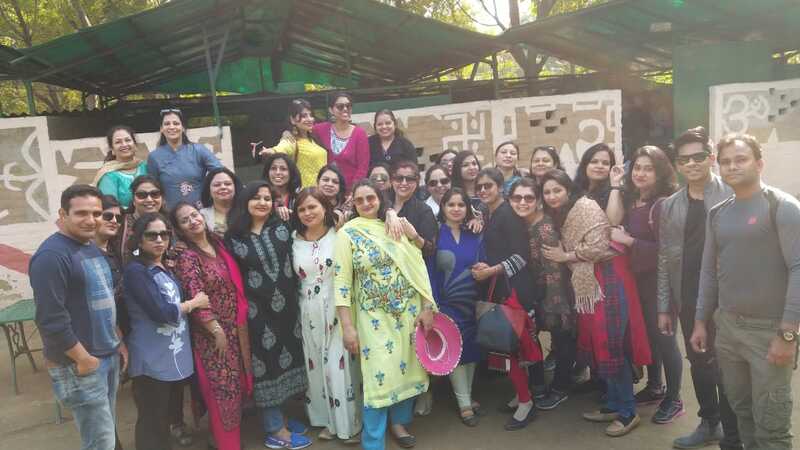 Teachers enjoyed each n every bit of the travelling time from the school premises to the venue while recalling their childhood days. 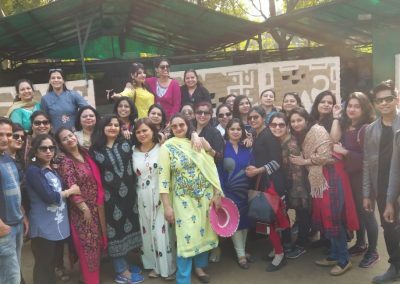 Teachers reached there at 10:00 and the excitement could be seen on their faces. 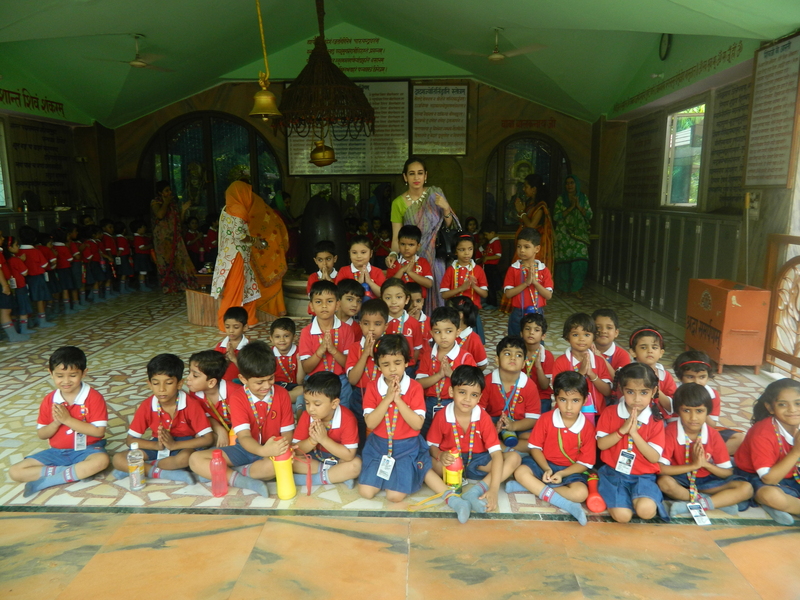 After taking the breakfast, all entered into the world of thrill and fun. 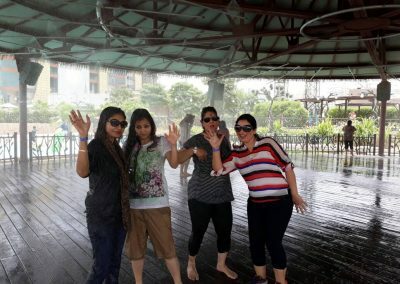 ‘The water rides’, ‘the lazy n busy river’, ‘wave pools’, ‘rain dance’ and ‘the food’ etc. 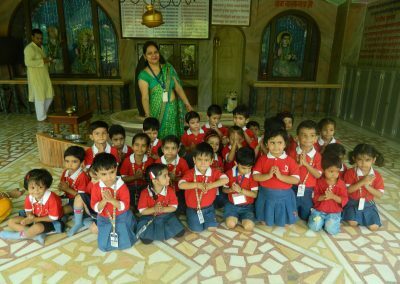 in Appu Ghar were fantastic and made everyone discover the child within them. 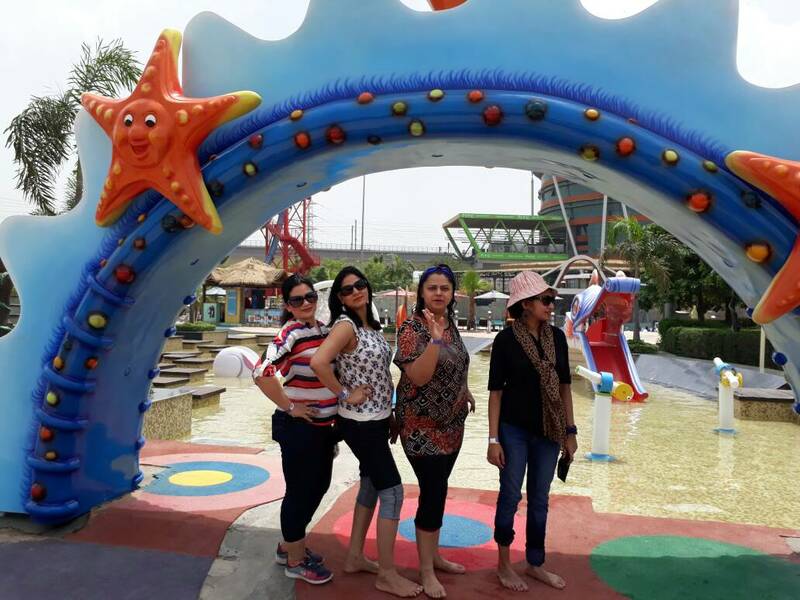 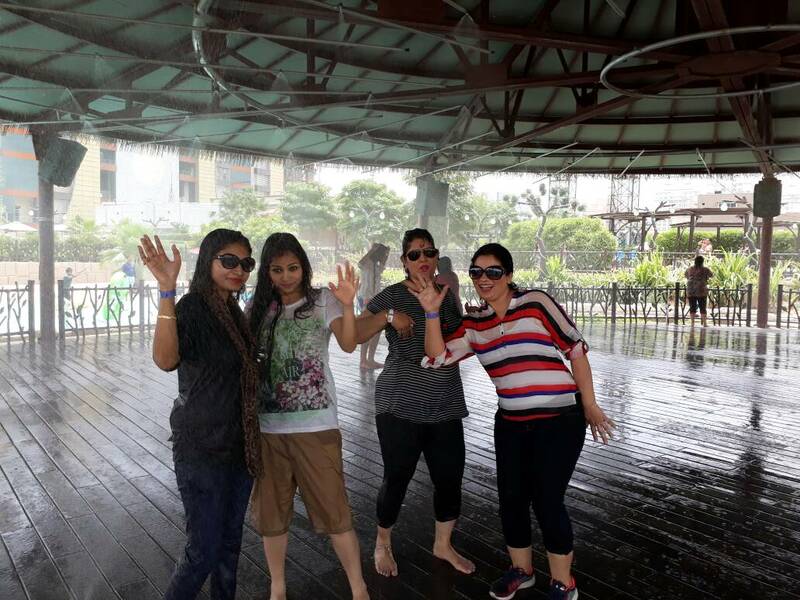 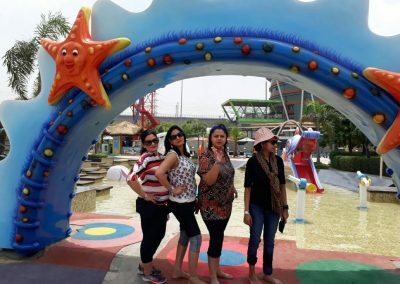 The cheerful ambience, the fun, the thrill gave a superb experience and left an unforgettable impression. 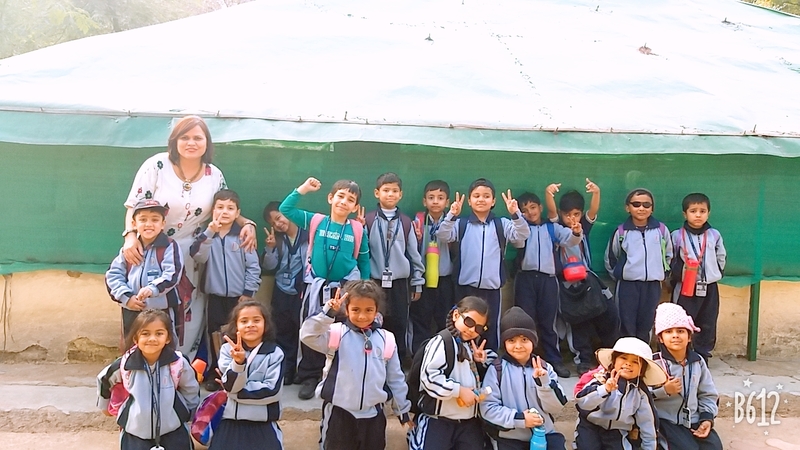 All the teachers came back with a huge smile on their face and memories to cherish life long. 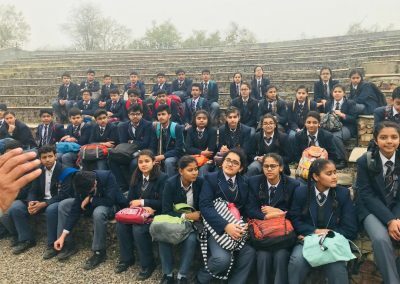 Dwarka International School organised an educational visit to Parliament House for the students of classes IX to XII on August 3, 2017. 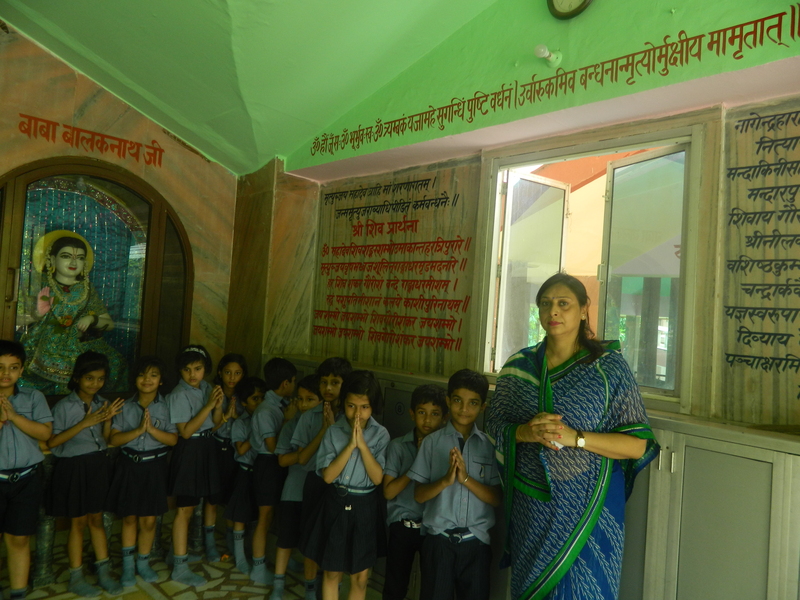 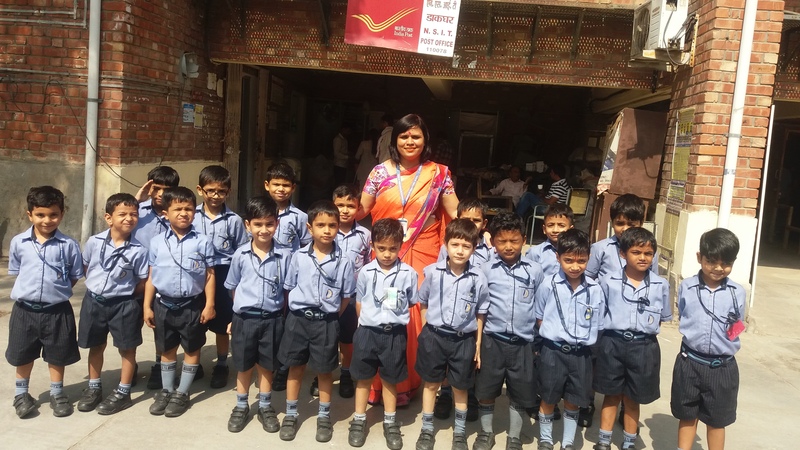 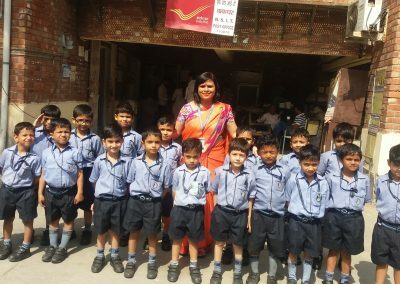 This visit was conducted with the efforts of the Councellor of Dwarka Ms. Nitika Sharma. 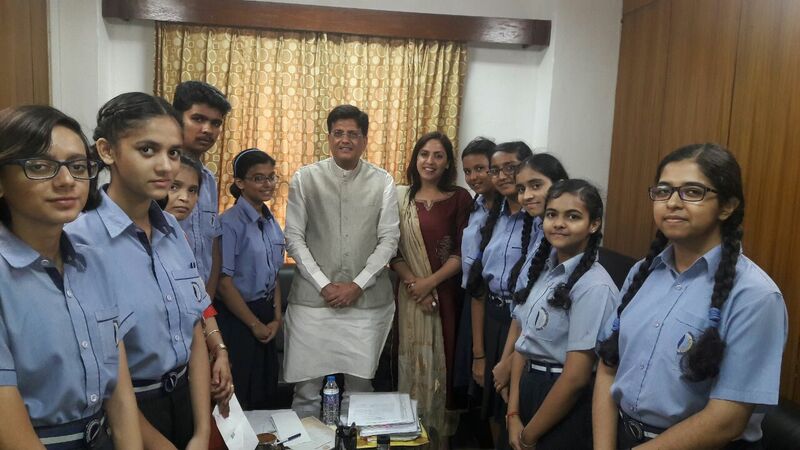 Students witnessed the working of the Lok Sabha where the session was going on in the house. 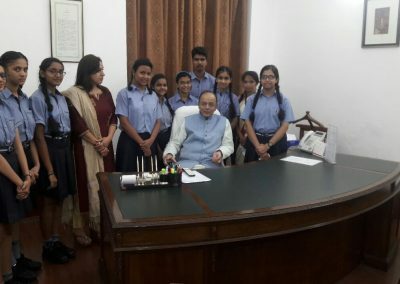 Prominent ministers including our respected Finance Minister Mr. Arun Jaitley proposed the bill. 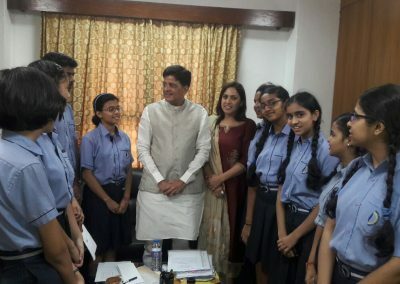 After the session students got an opportunity to meet Mr. Piyush Goyal (Central Energy minister) in his office where students came up with the queries related to the working of the Government. 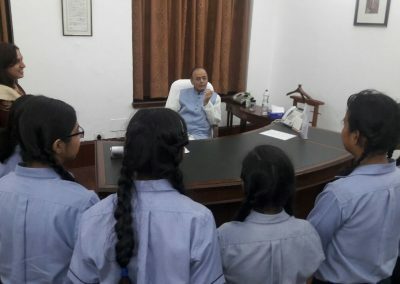 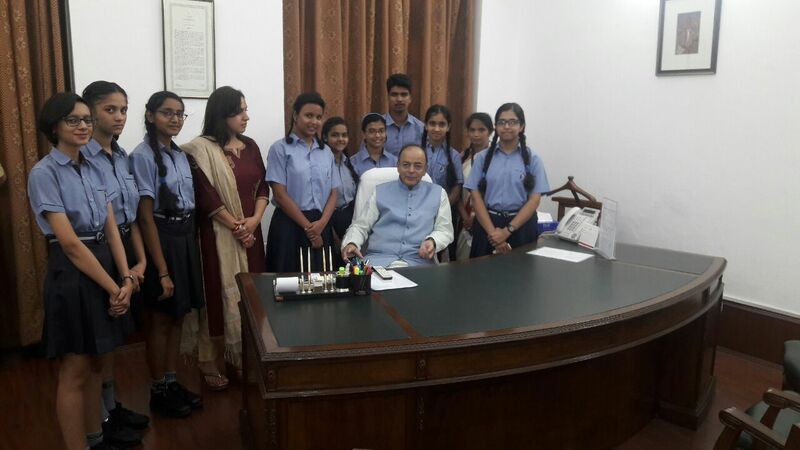 Students also met with the Finance Minister Arun Jaitley in his office. 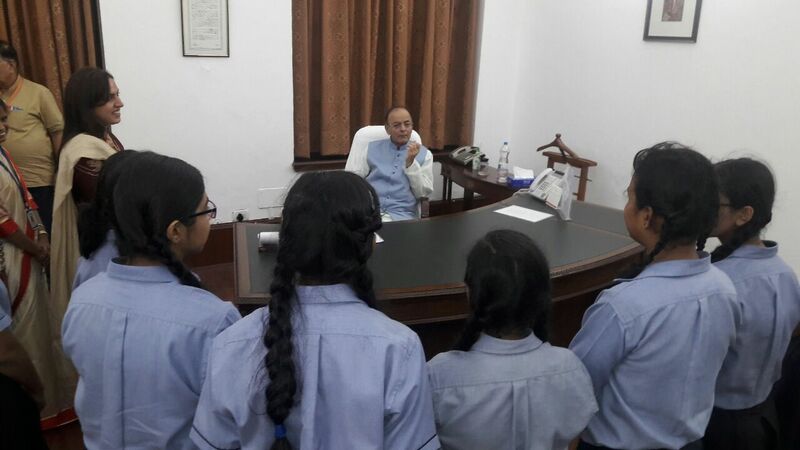 Students introduced themselves and had an interactive session with the Finance minister. 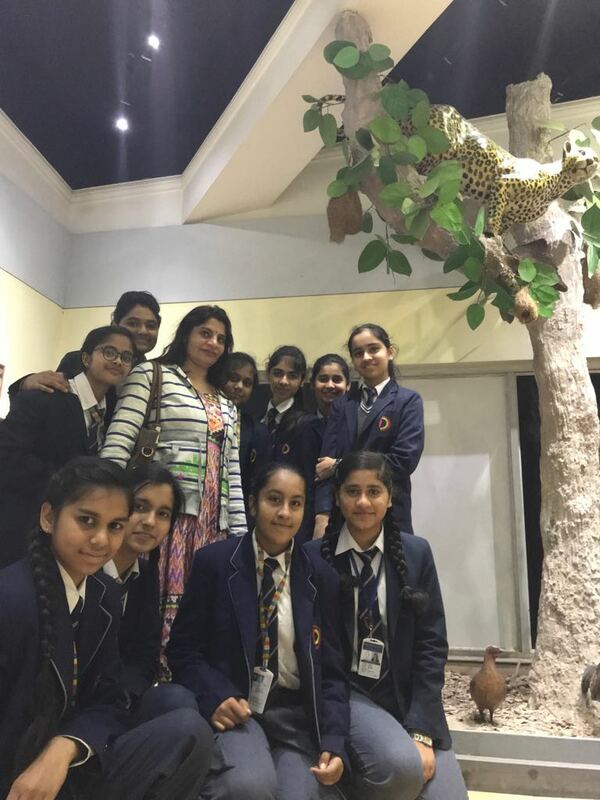 Students were amazed to the see the whole procedure in the Parliament house and got to know about the functioning of the Parliament. 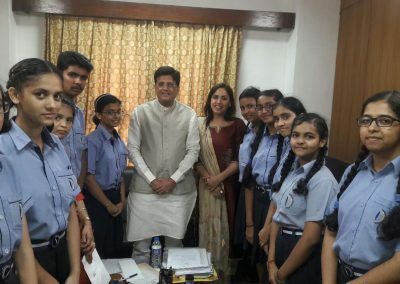 It was an informative visit where students learnt the actual routine of the sessions of the Parliament.Students liked the visit and had a great experience.